The team I lead recently read Scaling Up Excellence together. Every year I assign books to individual team members and also to the team collectively. Sometimes we discuss a book in one meeting, and other times we walk through a book chapter by chapter. Scaling Up Excellence was one we walked through chapter by chapter. 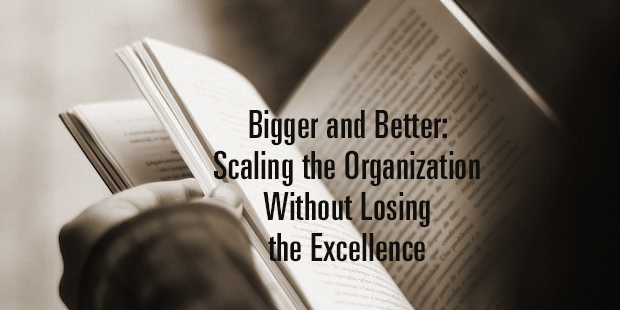 Accomplishing both “scale” and “excellence” at the same time is extremely challenging. The authors call this the “problem of more.” When an organization grows, the risk always increases that there will be value dilution among a team that is expanding. New players join who lack the same conviction of the original team. Necessary systems are implemented that can rob the entrepreneurial passion with bureaucratic clutter. As focus is taken away from the initial mission, excellence can easily wane as scale increases. 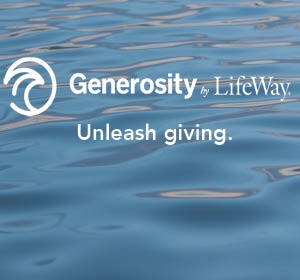 The division I lead at LifeWay Christian Resources [the Resources Division] serves hundreds of thousands of churches and individuals every year with resources such as Bible studies, books, events, consulting, and other services. We have more than 600 employees in our division, so I feel deeply both the blessings and the challenges of scale. 1. Continually connect organizational belief and behavior. Debates occur over whether leaders should focus on instilling the right beliefs or instilling the right behaviors. Those who advocate beginning with belief insist that when people believe the right things, the right actions will follow. Those who advocate a focus on behavior emphasize that our beliefs are formed around our behaviors. The reality is that both belief and behavior exist and wise leaders connect them together. When unhealthy behavior exists, the beliefs beneath the surface must be evaluated. When healthy actions are evident, leaders must root healthy actions in belief so that they may spread. My favorite quote from the book is “To spread excellence you need to have some excellence to spread.” So leaders are wise, even in a large organization, to dive deeply into some areas to ensure there is excellence to invite other areas to emulate. When those pockets of excellence are found, leaders should celebrate them so they will be cultivated elsewhere. 3. Talent and accountability are essential. Some have imagined that accountability is only necessary when there is low density of talent and that as talent increases, accountability can decrease. The authors wisely articulated that talent multiplied by accountability equals scaling capacity. Accountability does not equate to micromanagement. An environment with high and clear expectations attracts driven self-managers. When people join organizations that are clear on mission and values, they are signing up for accountability. 4. Stay as lean as possible. When an organization grows, there is a temptation to hire more people and implement more systems. More people and systems are important, but it is much better to want what you don’t have than to have what you do not want. When people are added to the team, they quickly work to justify the existence of their roles. In some cases non-essential work gets done, which creates more work for everyone else. Staying lean prevents unnecessary complexity and ensures the most important work gets the attention. Construction crews place scaffolding on the side of a building to add to the building, to increase its size and scale. But when the building is complete, the scaffolding is removed. Organizations, as they are growing, often utilize systems and processes to aid (or handle) the growth. But just as scaffolding is removed so should some systems and processes that were utilized to scale. Leaders must continually fight to rid the organization of bureaucracy so that more resources are continually devoted to the work. 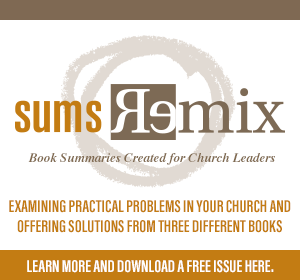 A helpful tool mentioned in the book, one that I now use with my team, is the exercise of a “premortem.” Leaders have routinely led postmortems where they evaluate after something has been launched or implemented. Conducting a “premortem” is inviting the right players to imagine success or failure several months or even years out and then work backwards to identify all the action steps that produced the result. Learn more about Auxano’s Execution service.